Always thought that Wine Connection is a place for drinks but i was wrong. They served good food too. Braised Lamb ShankQuite a huge portion. The lamb shank was served with some vegetables and mash potato. 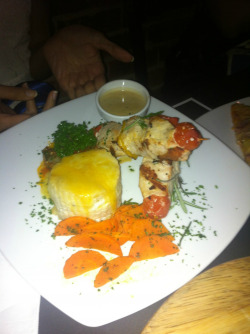 The meat was tender and the sauce that comes with it makes the lamb shank very tasty. 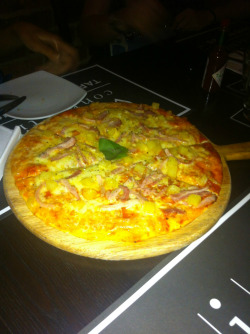 Hawaiian PizzaCrispy Crust with tons of ham and pine appl Pork SkewerFresh, Juicy pork served with potato ( with cheese). Very nice! Always thought that Wine Connection is a place for drinks but i was wrong. They served good food too. Quite a huge portion. The lamb shank was served with some vegetables and mash potato. 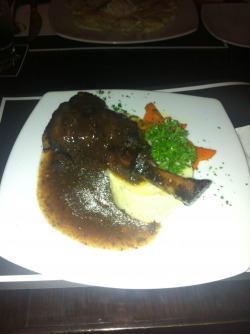 The meat was tender and the sauce that comes with it makes the lamb shank very tasty. Fresh, Juicy pork served with potato ( with cheese). Very nice!